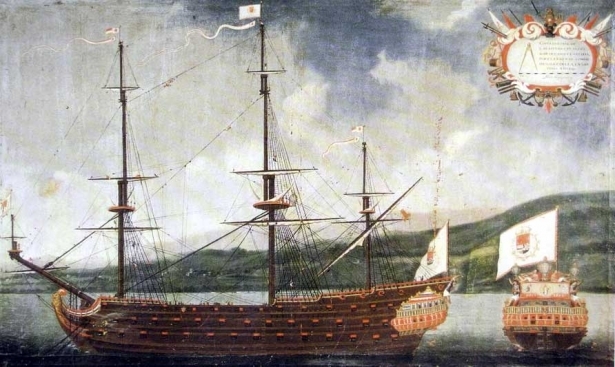 If European monarchs ride in carriages, Asian monarchs mostly use boats and barges. The Chao Phraya River is the main transport artery in the country. Boats and barges are the most popular and convenient forms of transportation, having been used by the commoners for quite a long time. 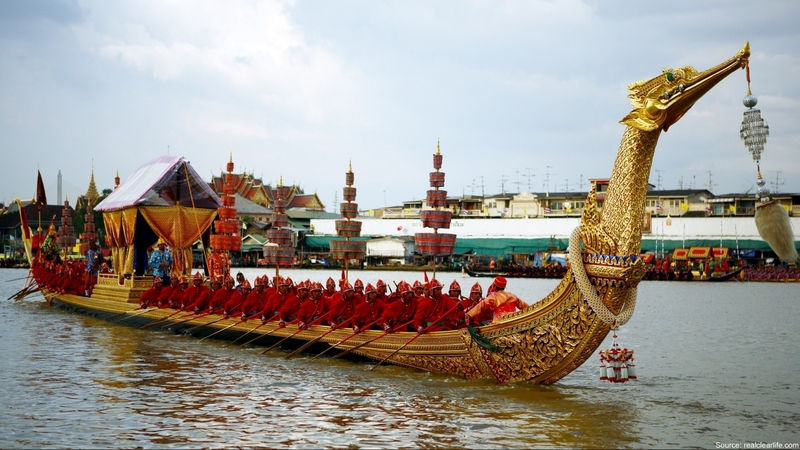 Ceremonial processions of wooden ships are an ancient tradition of the Siam Kingdom, present-day Thailand. The most luxurious boats and barges belong to the royal family. 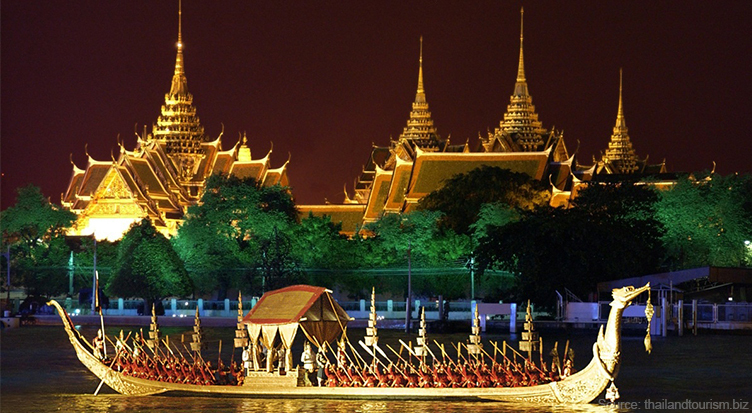 Parades of royal barges streaming down the Chao Phraya River are held to this day. At king’s disposal are 52 barges, which are museum exhibits that are occasionally used as rafts on the water during the processions. 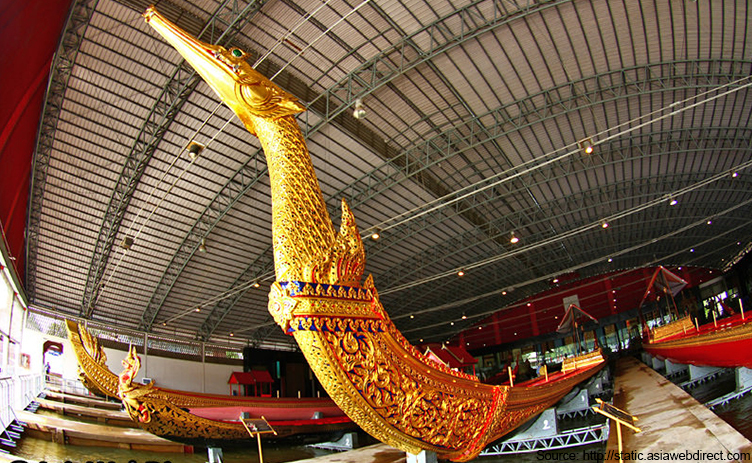 The main and most beautiful barge of the Royal Thai flotilla is the "Golden Swan" barge (Suphannahongsa). This magnificent boat exemplifies the high quality of craftsmanship of wooden shipbuilding. In the photo: the royal barge "Golden Swan" floats on the Chao Phraya River in Bangkok. The "Golden Swan" is considered to be the world's largest barge made from a solid tree trunk: its carcass is made from a gigantic teak hardwood. The old barge is richly decorated with leaf gold, covered with jewelery, exotic prints and murals, encrusted with precious stones, bright mosaics and enamel. In the photo: the bow of the ship is decorated with is the golden head of the mythical Swan of Hong, the character of the ancient legends and myths of Thailand. The crew of the royal boat consists of a captain, four officers, two carriers, 50 rowers, and a drummer, "the guardian of the rhythm," who sets the pace. The "Golden Swan" barge is used only for the royal processions during the annual Kathina ceremony: the offering of donations (new robes for the monks) all over Thai’s Buddhist temples. 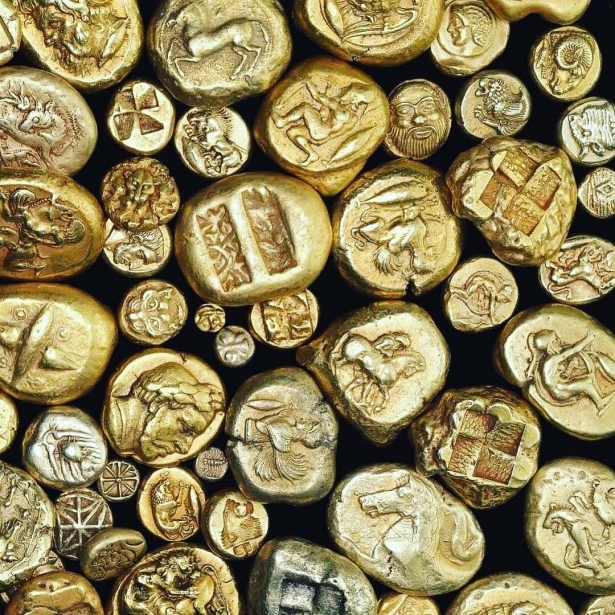 Gold is a precious metal used by people to protect their personal savings. It is a reliable and long-term asset that helps protecting capital from depreciation. 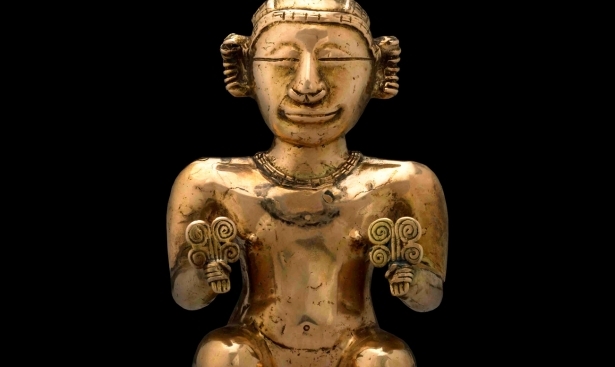 Gold is the guarantee of Financial Security!